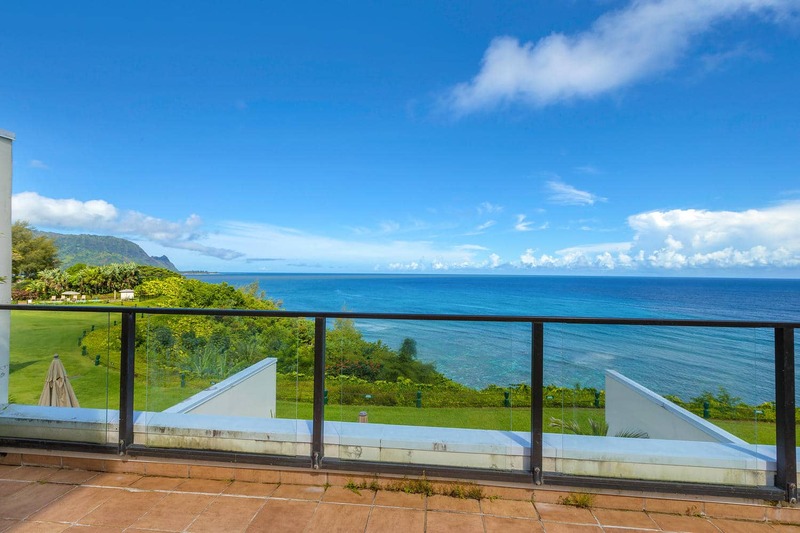 Puu Poa 309 offers 1800 Square feet of living space, two huge lanais, 2 bedrooms, 2 baths. 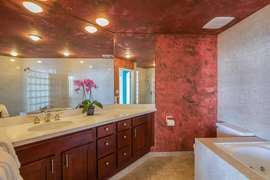 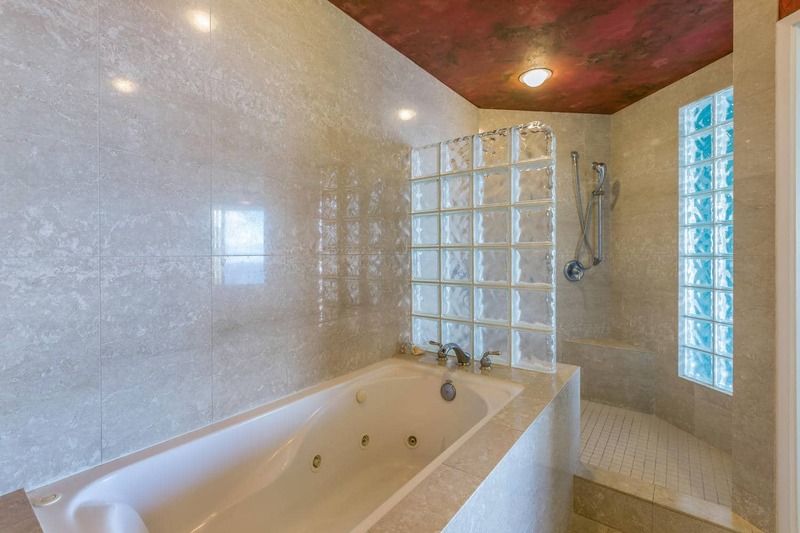 All marble and glass-block master bath with dual shower heads and jacuzzi tub. 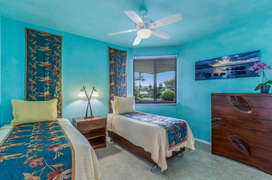 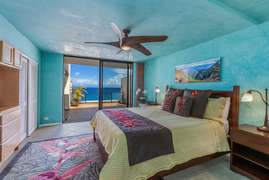 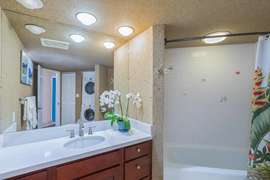 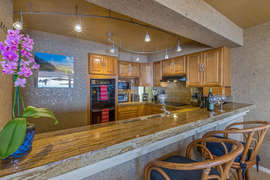 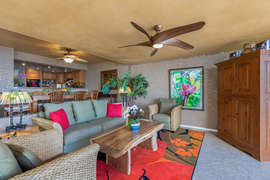 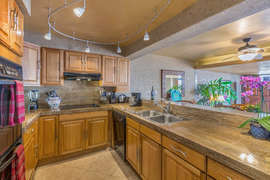 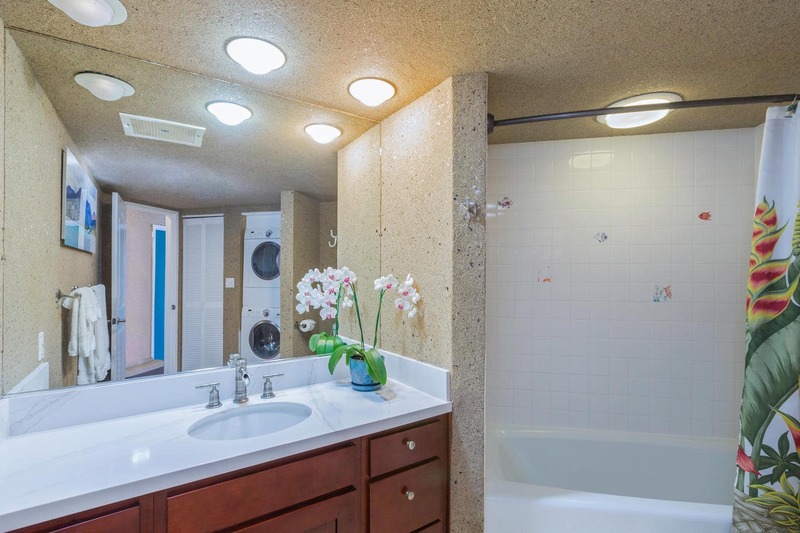 Solid Teak Furniture, Beautiful Tile Floors throughout, Classic Plantation Shutters, King bed, two twin beds (which may be combined to form a second king bed upon guest request), Queen Sleeper Sofa, 2 TV's, 2 VCR's, CD/Cassette sound system, Gourmet kitchen, Gas Barbeque Grill, Beach Gear. 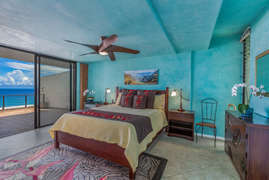 Brand new tempurpedic mattress. 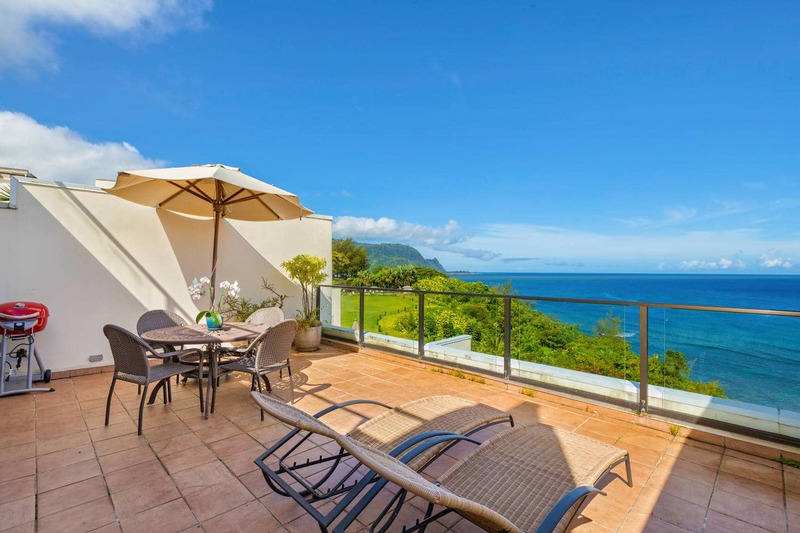 Pu’u Poa is the closest property to the St Regis hotel. With its gourmet restaurants, spa, and shops, you’ll never be at a loss for activities, entertainment and fine dining choices. You’ll find a barbecue grill on your private lanai, perfect for a relaxing view of the sunset as you prepare your catch of the day. 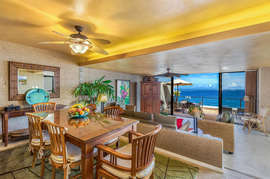 Offering a feeling of privacy, but steps from the hotel with its gourmet restaurants and shops. 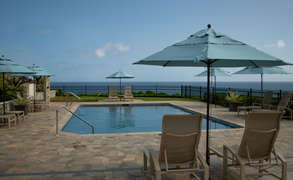 The pool sets cliff- side. 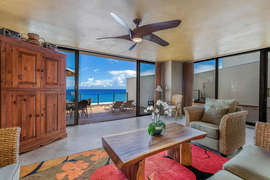 Spend the day on your huge lanai, sunbathing or watching the whales play. 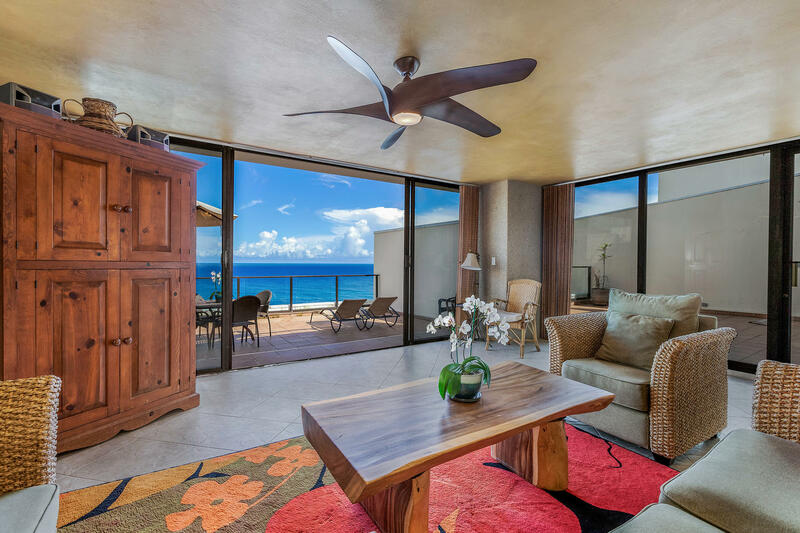 Located on the north shore of Kauai and boasting remarkable white water ocean views, our vacation rentals at Puu Poa provide upscale and spacious accommodations for guests seeking exceptional accommodations. 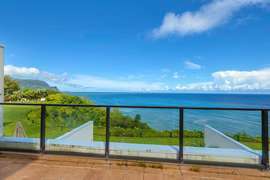 Puu Poa condos have two bedrooms and two bathrooms, offer at least 1800sq.ft. 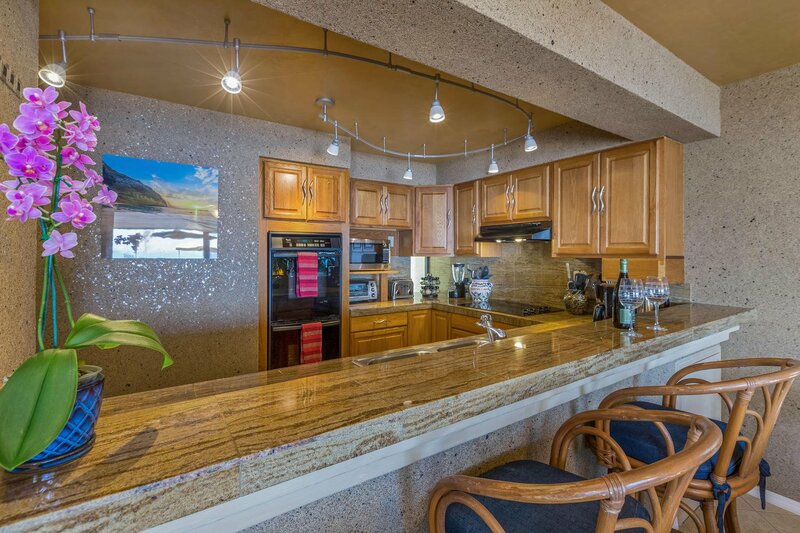 of living space, expansive oceanfront lanais, and enjoy spectacular ocean front views, many of Bali Hai sunsets. 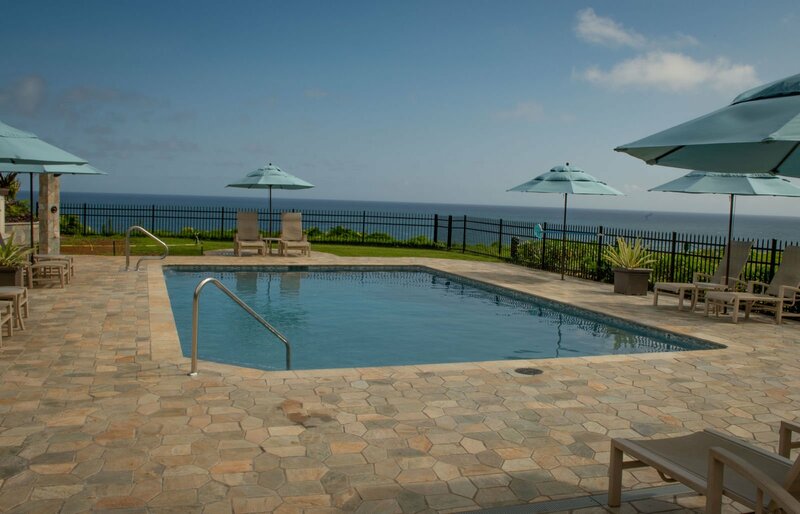 Even the swimming pool boasts a glorious view! 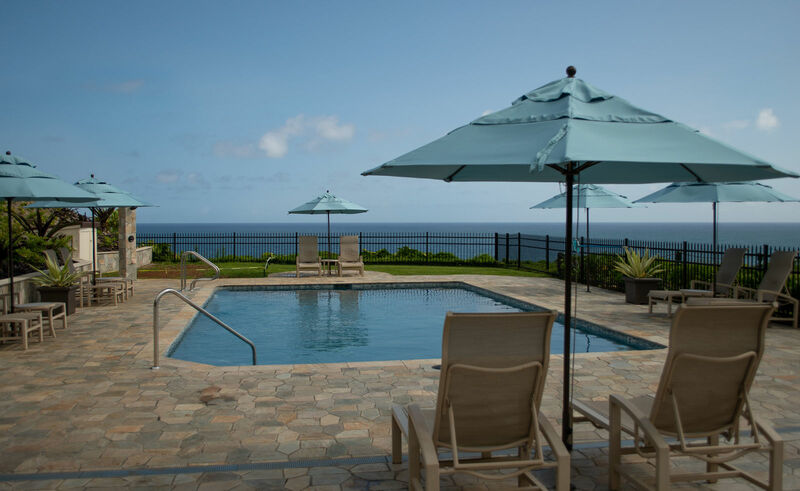 Tennis courts and a path to Hideaways Beach (or take the path to the St. Regis Beach).